LNER class 800201 (no logos) in platform 2 on the 4th of July 2018 on route learing or testing. The train stopping in platform 2 while breaks(?) were taken at Peterborough. 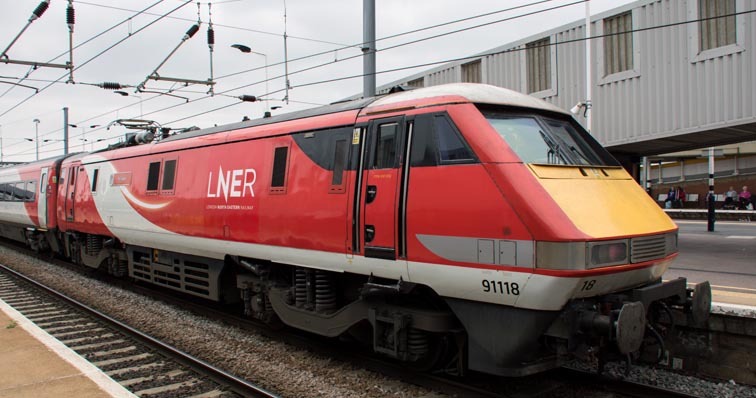 London North Eastern Railway (LNER) took over on Sunday 24th of June 2018. 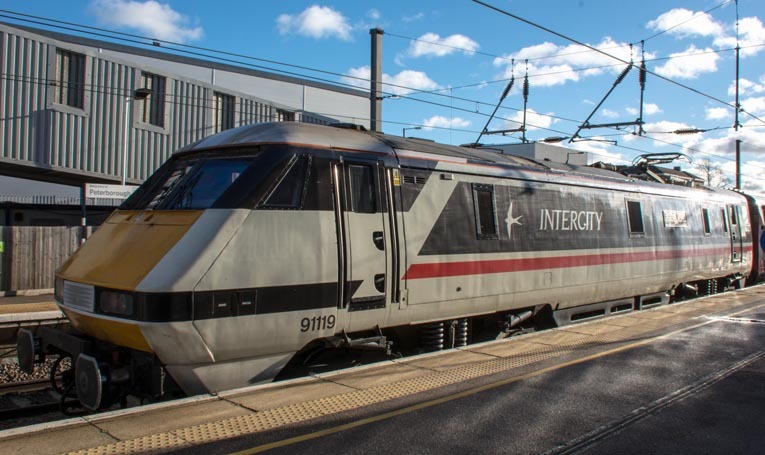 The East Coast franchise has been temporarily renationalised and will be run by the Department for Transport as London North Eastern Railway and branded as LNER. 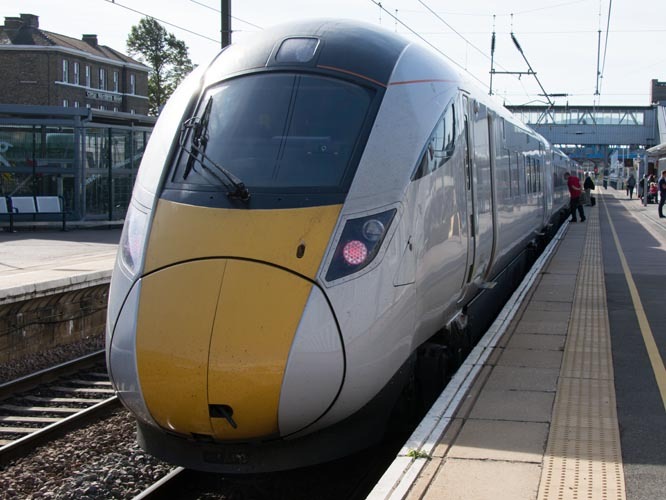 Virgin East Coast in March 2016 had decided these class of new trains would carry the brand name of 'Azuma'. 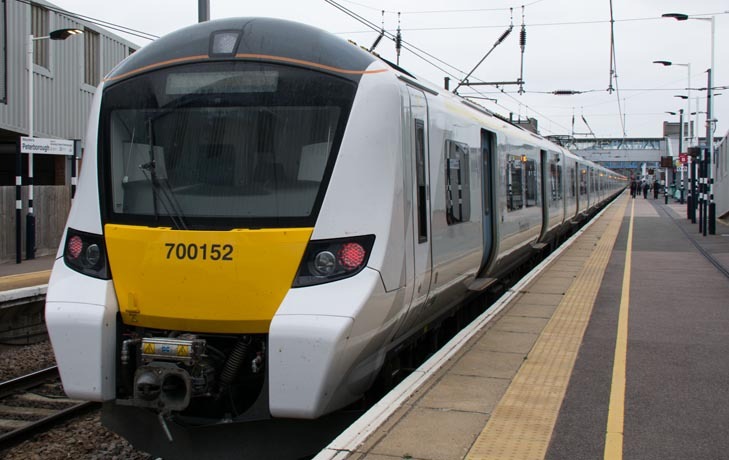 Virgin East Coast will not now operate the new trains. When they enter service it will be with LNER, who will still use the name 'Azuma'. LNER class 800 201 (no logos) in platform 2 on the 15th of September 2018 on route learing or testing. LNER Class 91119 'Bounds Green Depot' has been repainted in Intercity Swallow livery . Class 91119 is in platform 2 at the rear of an up train to Kings Cross on Sunday 9th of December 2018. The old Platform 3 at Peterborough station has now been renumbered as platform 2. Some more platform was added at the southern end. 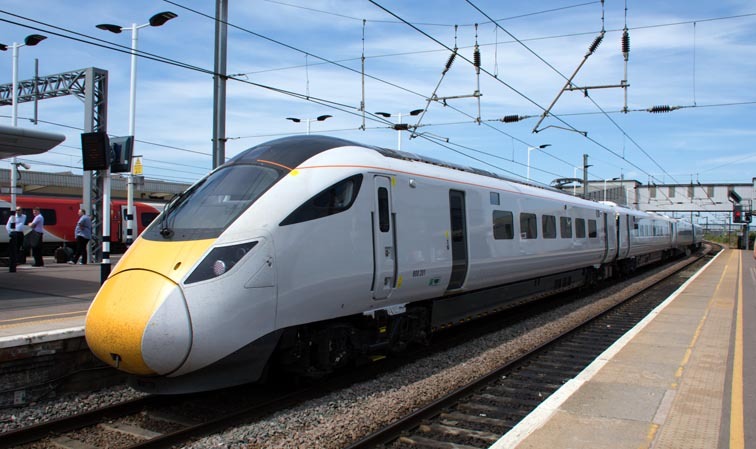 This new platform 2 can now be used for the new 12 coach Great Northern servies to South London and Gatwick Airport as well as up LNER trains to London Kings Cross. Some down trains can also use this platform as well as the Lincoln East Midland Trains units at the north end of the platform.